Guess what we are starting here at Crystal & Co.? You’re spot on- a recipe section! You’re super excited aren’t you? Today I bring you an idea that one of my Facebook readers shared with me a few months ago. Brilliant, I tell you. I’ve made them about 14 times in the last couple of months (I might be exaggerating a little) and my children love them. So easy. My main crockpot is just like this 6 qt Rival Digital Timed Crockpot (only not shiny and very used). Something to consider- when cooking 1 lb of hamburger meat in a 6 qt crockpot, it is going to cook very fast. Take your hamburger meat and place it in the crockpot. Cover in a jar of your favorite Sloppy Joe concoction- I used Manwich. Use a large spoon or spatula to break up the meat. I am not a Sloppy Joe fan at all, but the sauce smells so good cooking. It looks like it has minced onions and bell peppers and a nice mix of spices in the sauce. Put the lid on it and let it cook. I cooked this for 4 hours on high. (It was really done about 3 hours into it.) If you are leaving the house for more than 4 hours once the crockpot is going, just set it at the very lowest setting. Mine has a timed setting of 10 hours. Just judge accordingly. This is what your meat will look like about half way through the cooking process. Don’t be alarmed or grossed out- it is normal. You can choose to stir it half way through, or leave it as is and just let the cooking process do it’s thing. I choose to stir and get more of the lumps out of the meat. Once the meat is cooked 100 %, this is what it should look like. Ignore the crusty sauce around the edges of the crockpot stone. It is normal. Comes off with an SOS pad, I promise. 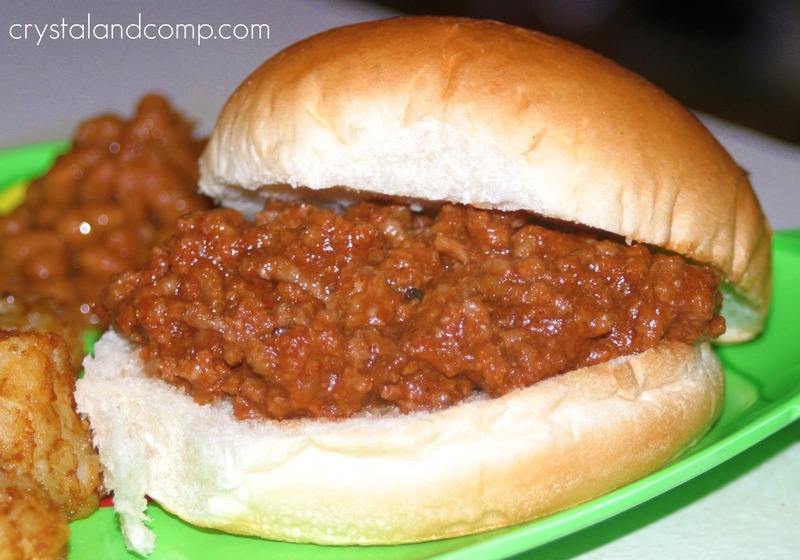 Scoop the meaty sauce onto hamburger buns- you should have enough for 8 Sloppy Joes. My kids like baked tator tots and baked beans as sides. 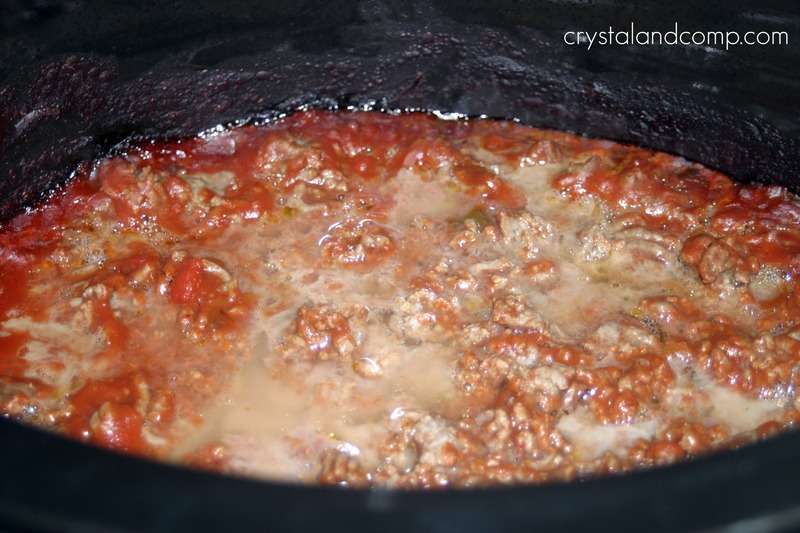 I love my crockpot.I would recommend that if not cooking the hamburger that you use a very lean ground beef, otherwise you’ll end up with a ton of grease in your sloppy joes. 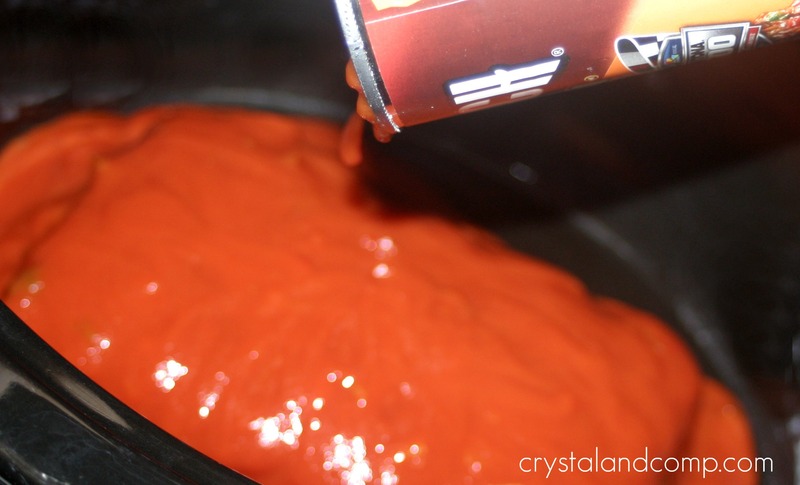 It’s pretty easy to make a homemade sauce too that tastes awesome! Thanks! Debbie, I always buy lean meat as well. That was 90/10. Often times I purchase 93/7. While some of what you see there is grease, most of it is juices from the meat. How do you make your Sloppy Joe sauce? I was wanting a crock recipe to today!! 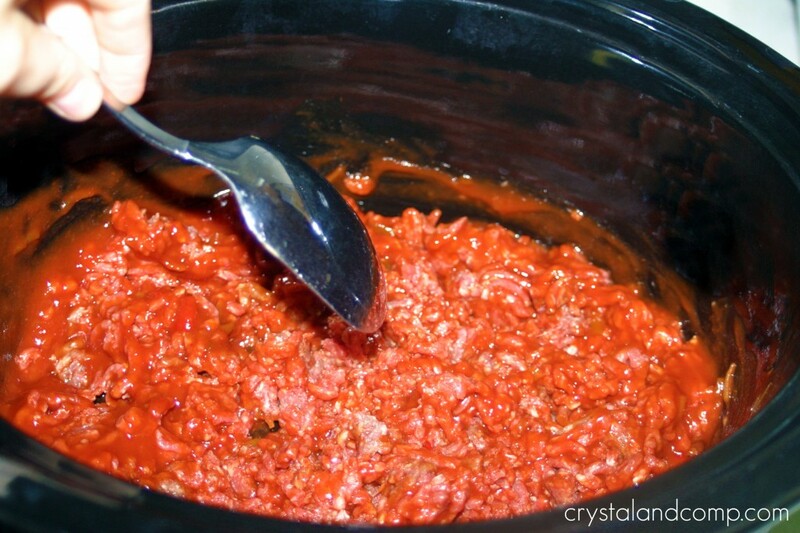 We make my grandmother-in-law’s recipe in our crockpot and LOVE it! In fact, just this week we enjoyed it. I added a cup of shredded carrots to the mix and that was a big hit. I put shredded carrots in mine too!! It’s great! Loooks delish! I love my crockpot, but confess I don’t use it as much as I would like. Great idea!!! Love it, Im a New follower!!! Congrats on having a recipe section. Great to see you are kicking it off with a crock pot recipe! Love my crock pot. Come on over and share with Hunk of Meat Monday ! I love sloppy joes. I don’t have them enough. This looks really good and I can cook it in a crockpot BONUS! 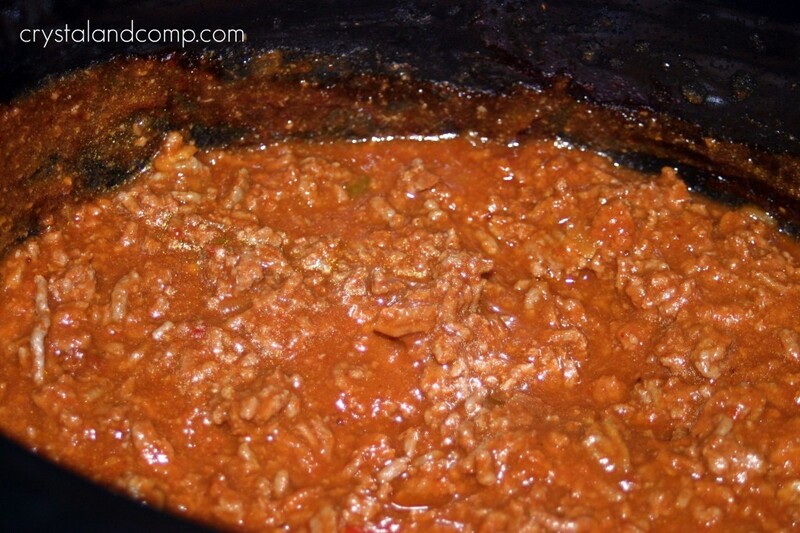 Hi Crystal, thanks so much for stopping by and commenting on my version of Slow Cooker Sloppy Joes. I will definitely be trying your version soon, even easier! DeeJ- I am not a big Sloppy Joe fan, but everyone else here is. It is a meal that makes them all happy. Any suggestions how long to cook this if I’m going to use a frozen package of hamburger meat? I have cooked frozen chicken breasts a million times in the crockpot. 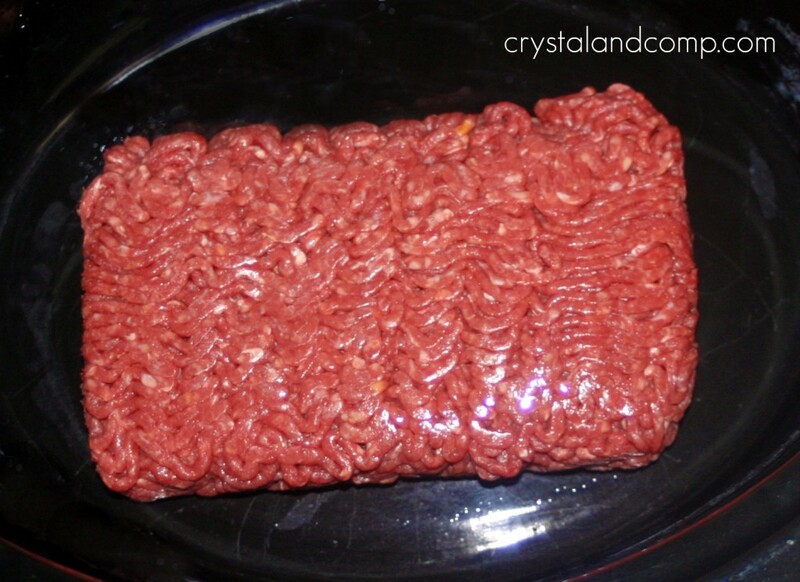 I have never done frozen hamburger meat. I am not sure how it will turn out, but I would cook it low and slow for like 10 hours. I would check it half way through to stir it and crumble up the meat with a spoon like you do when you are browning meat on the stove in a skillet. I am interested to know how this turns out for you. Let me know if you try it.